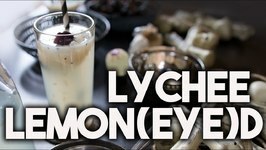 Halloween is upon us and if youre hosting your own spooktacular party, here is the perfect simple bevvie for you Lychee LemonEYEd. Betty demonstrates how to make Orange Wassail, which will be one drink on this year's Christmas table. 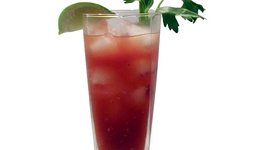 It is a spicy blend containing orange juice and cranberry juice. Summer's all here, and all you crave for is a icy cold drink to beat the heat. 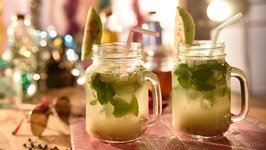 Here's a refreshing mocktail for you to shake up - Minty Cucumber. A drink to chill, a drink to cheer! 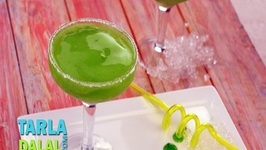 An easy peasy recipe of amazingly refreshing summer drink, Green Cooler! 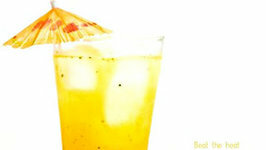 Some khus syrup, and some kiwi crush, loaded with ice, and a ..
A drink to chill, a drink to cheer! 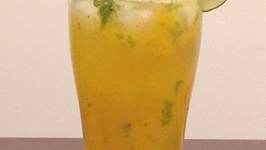 Make this easy Achari Funda Mocktail in this scorching heat and relish the tantalizing flavors of Indian Pickle along with Mango Juice. 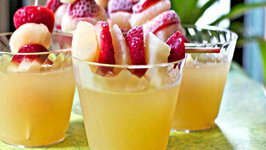 An energetic combination of kiwi with lemon makes this citrus drink perfect for the summer. The bright green colour of kiwi crush, speckled with tiny black seeds adds a ..
Holi, the festival of colors is all here! 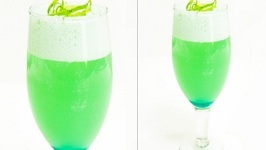 Cool yourself down with these colorful refreshing drinks. 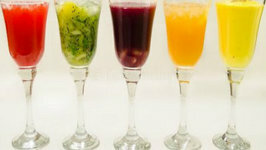 Apart from relishing Thandai, here's five more options for you which ..
Betty demonstrates how to make Mock Pink Champagne. 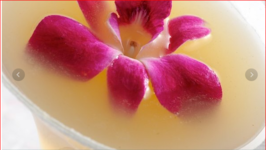 This is a great nonalcoholic drink for welcoming the New Year! 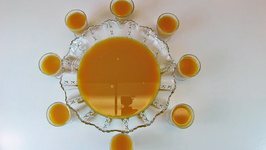 Easy to make beverage, great to offer on a hot summer day. 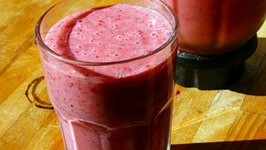 Rich in antioxidants from blackberries and pomegranate, this one will surely boost your immunity. 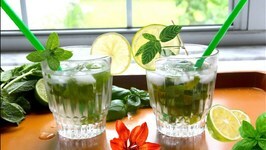 The scorching Summers are here.... and everyone needs something refreshing to drink. 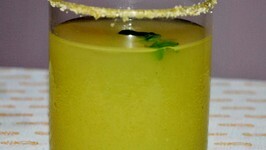 Here is fusion drink to tickle your taste bugs with the salty-sour taste of Aam Panna .. Here is an easy yet refreshingly delectable Green Mango Drink (Aam panna) recipe that is ready in minutes! 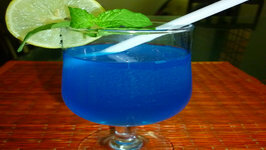 With the added flavors of mint and ginger you can serve it as a ..
Blue Lagoon Cocktail /Mocktail With Desi Citrus Twist is a tantalizing drink that would surely add a colorful sparkle to all summer parties. 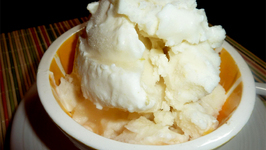 The delicious flavor combination of pear, elderflower and ginger works great with or without alcohol. This recipe is the virgin version. 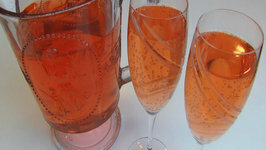 This fruity, fizzy punch is great for celebrating any occasion, any time of day! I've been getting a lot of requests for non alcoholic punches and I think you guys are ..